Garden Grove, CA - A recently commissioned independent survey shows Garden Grove residents are highly satisfied with their quality of life and their vital city services. Seventy-one percent of city residents believe their local neighborhoods are headed in the right direction, and 65% believe the City provides a better quality of life than other nearby communities. 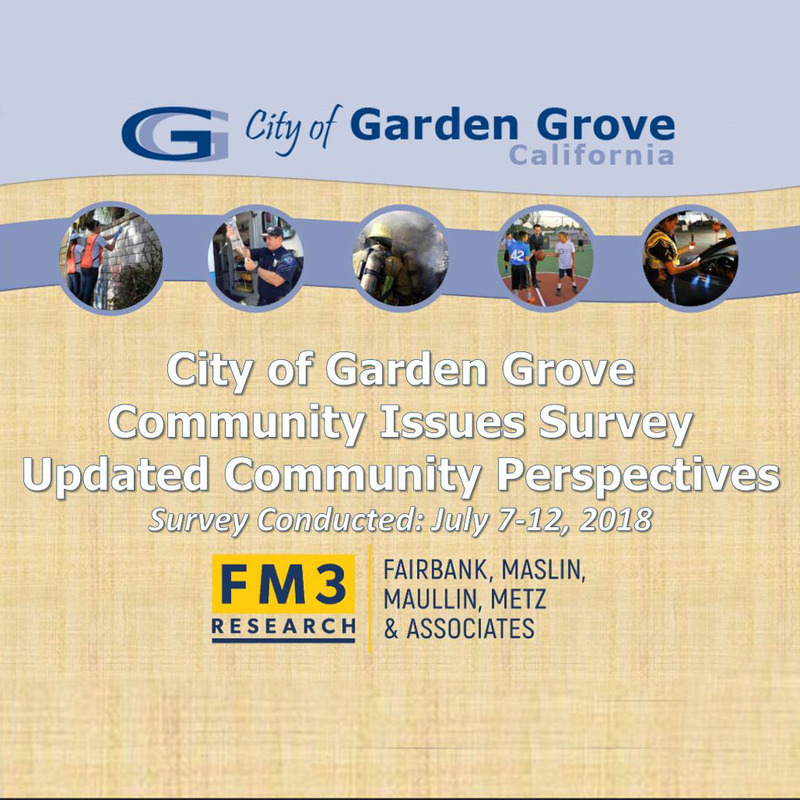 The community survey was conducted July 7 through July 12, 2018 by opinion research firm FM3 Research, who has extensive experience polling in North Orange County. Residents expressed a strong belief that the City needs additional funds for key City services. Sixty-one percent said that the City has “great/some need” for additional funding, a 17-point increase since 2017.